It may not look like a radical change from the last model but underneath its been completely re-engineered. We road test two versions of Honda’s New CR-V, the 1.6 diesel and the 2.2 diesel. What is it? This compact SUV is the latest version of Honda’s CR-V.
Who is it aimed at? 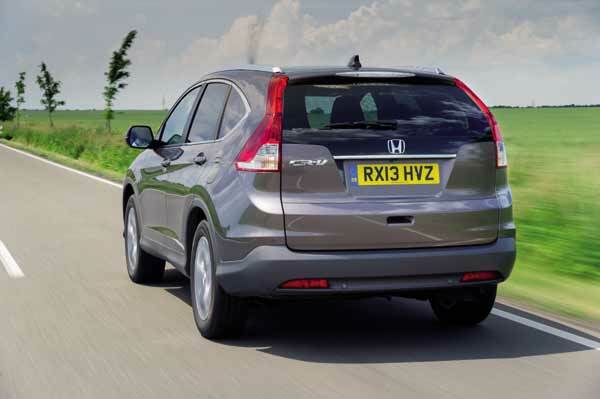 If you’ve swapped city living for a life in the countryside, you’ll love the CR-V. The 1.6 diesel CR-V is certainly an “urban animal”, one that has no aspirations toward rigorous off-road use. An austerity 4×4 for city life this is a car squarely aimed at the eco-conscious urban mother with a keen eye for fuel economy. The 2.2-litre turbodiesel engine is the one to opt for if you’re going to be towing a horsebox or boat! 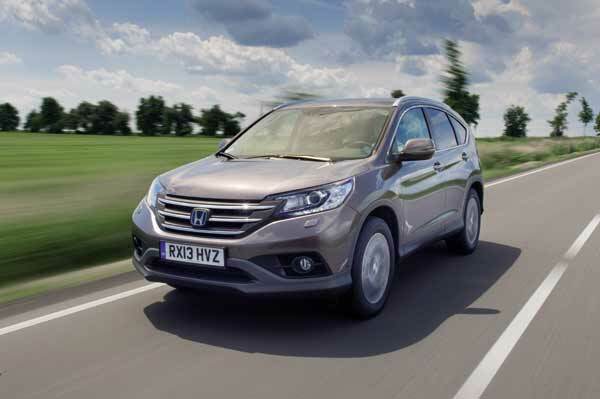 Under the Bonnet: At the heart of the Honda’s CR-Vs are three engine choices, the recently launched super frugal 1.6-litre diesel available in front wheel drive , a 2.0 litre petrol and a 2.2 turbodiesel with four wheel drive. What about Inside? The high driver’s seat means you can see forever while the dash is well designed and the controls are easy to find and to use. It is plush and durable in equal measure, making it ideal for family duties and anyone with infant car seats will appreciate the easy access to the rear. It is spacious enough for five adults, and the boot stores 589 litres. The fold down seats are one of the best features. With a flick of a lever the rear seats fold revealing a van like 1,669 litres of luggage capacity available. On the Road? It cruises smoothly around town with plenty of power. Steering is direct and nicely weighted, and it feels well planted on the motorway and composed through corners and all the while quiet enough not to bother you. On paper the 1.6 engine appears a far more insipid version of the CR-V but tap the accelerator and power comes sharply from the 120 bhp engine and 300Nms of torque. It feels every bit as lively as the larger diesel but subtle it’s not, it is noisy when idle and raucous when accelerating. If you need a bit more muscle under the bonnet the 2.2 litre four-cyclinder 150 bhp engine with 350Nms is the one to opt for. It cruises smoothly around town and country with little or no road noise, and on road or off is capable and comfortable. While we preferred the power of the 2.2 diesel, the differences are noticeable on the road and the 1.6 is definitely the more nimble of the two. Overall the 1.6 engine is a really good fit with the CR-V, offering a good blend of dynamics, power and torque and is much healthier for your bank balance. And Safety? There is no need to fret about safety the CR-V comes with a full range of safety equipment designed to help the driver avoid or mitigate an accident, or to protect the occupants should a crash become unavoidable. In addition the new CR-V features Advanced Compatibility Engineering (ACE) Body Structure, a well-established part of Honda’s safety arsenal and is designed to absorb impact energy in the event of a collision and divert it away from the passenger compartment. Options? Prices for the 1.6 diesel start at £25,060. Opt for the larger diesel engine with four wheel drive and the entry level SE is priced at £27,200. What about fuel economy? Fuel saving aids abound including Honda’s Eco Assist that advises drivers through the dashboard display on how their driving style impacts on economy. The colour of the dial edges changes from white to green when driving more efficiently. And the results are impressive our 2.2 litre diesel returns anywhere between 5.6 to 6.8 litres per 100 kms on a combined cycle (62.8 to 41.5 mpg) depending on whether you choose manual or automatic. The 1.6 diesel engine is so frugal that it will make your lawn mower look thirsty. It boasts an excellent 4.5 litres per 100 km or 62.8mpg on a combined cycle of town and motorway with CO2 emissions of just 119g/km. Okay so the Verdict? 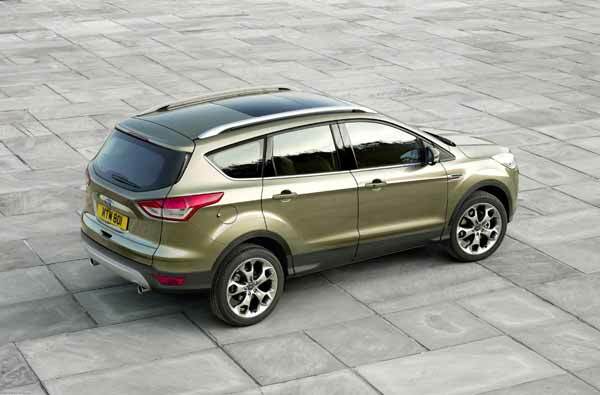 The Compact SUV market is certainly a crowded one as motorists eagerly embrace these smaller wallet friendly crossovers. The 2.2 turbo diesel CR-V equipped with four-wheel drive is a real treat offering an abundance of grip, stability and the ability to tackle rough terrain. But at a time when most compact crossovers are bought as over-size hatchbacks, the need for any form of four wheel drive is debatable. With a generous level of standard equipment and excellent fuel economy the CR-V’s deserves to have broad appeal.